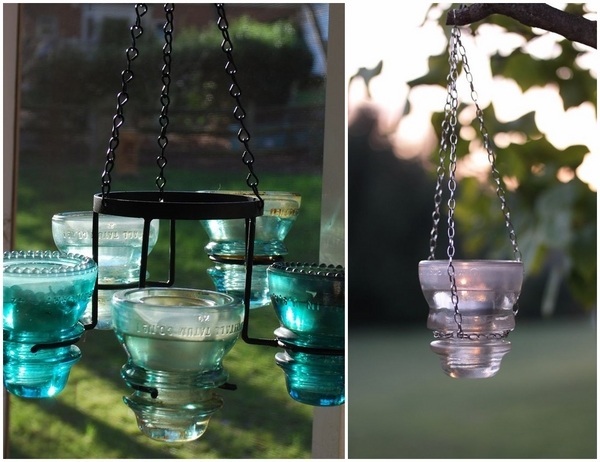 Upcycling ideas with glass insulators and original DIY items are a striking example how you can give new life to old glass insulators. 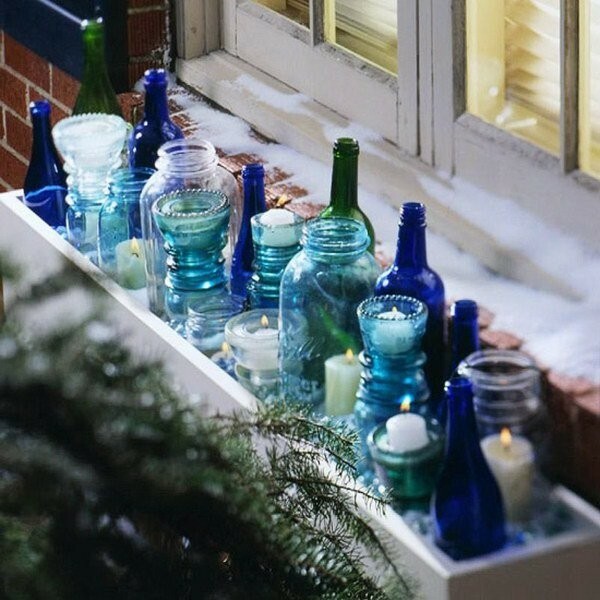 We selected 50 DIY glass insulator ideas which will help you create a variety of useful items that will not only decorate the house, but also to make it more comfortable. 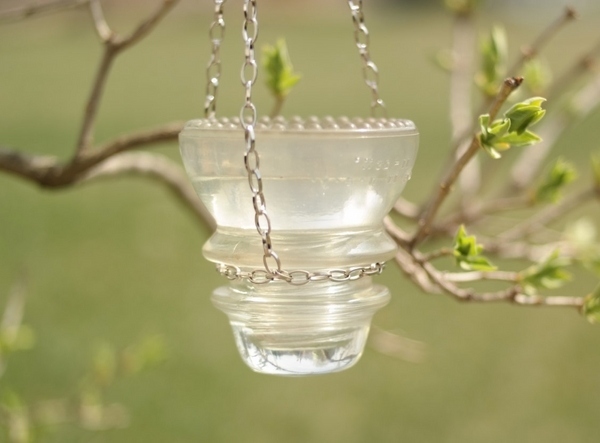 What are glass insulators? 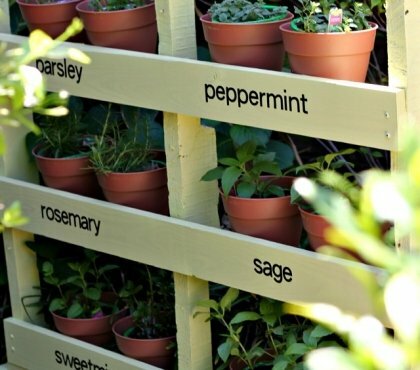 Not many people have heard of them, as they are not in use for decades. 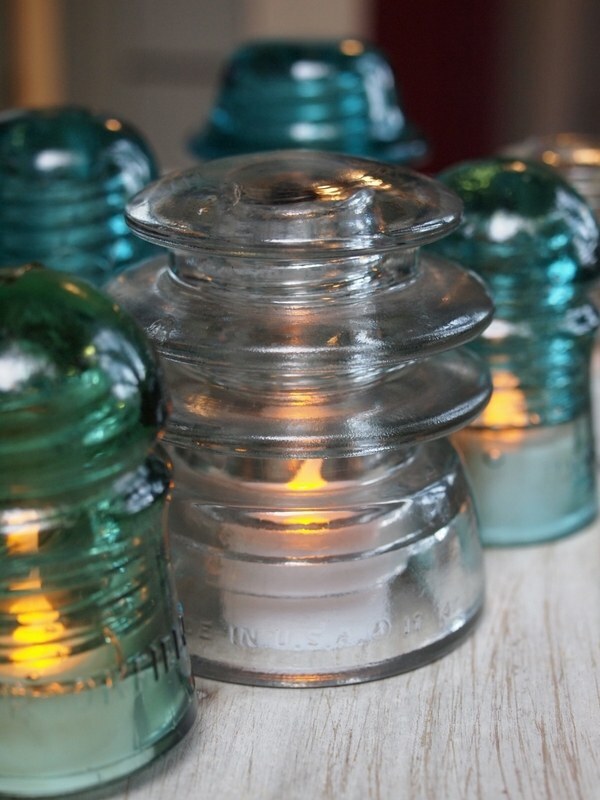 Antique glass insulators can be found in antique shops, flea markets and they are really inexpensive due to the fact that they were mass produced. 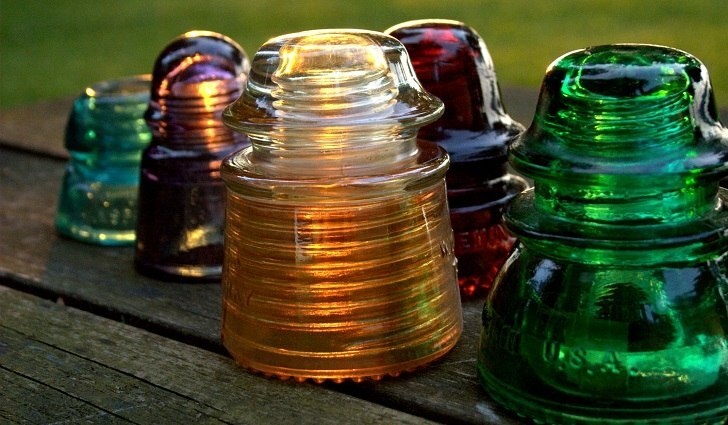 The manufacture of glass insulators started in the mid 1800s to meet the needs of the technology of the time. 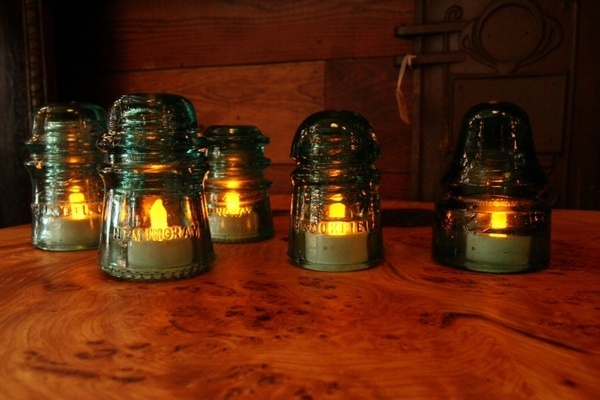 The purpose of glass insulators was to insulate the electricity and telegraph wires from the wooden poles. 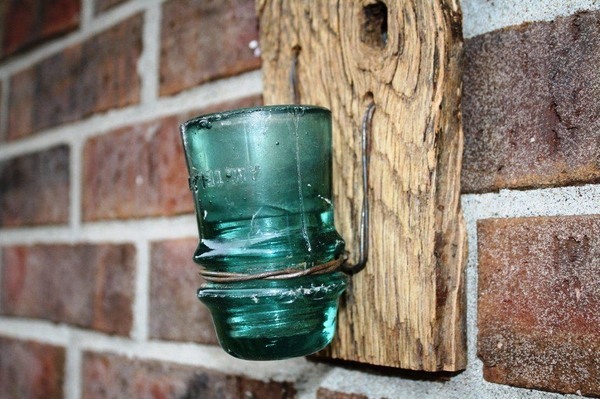 With the development of technology glass insulators were used for telephone wires and electrical wires as well. 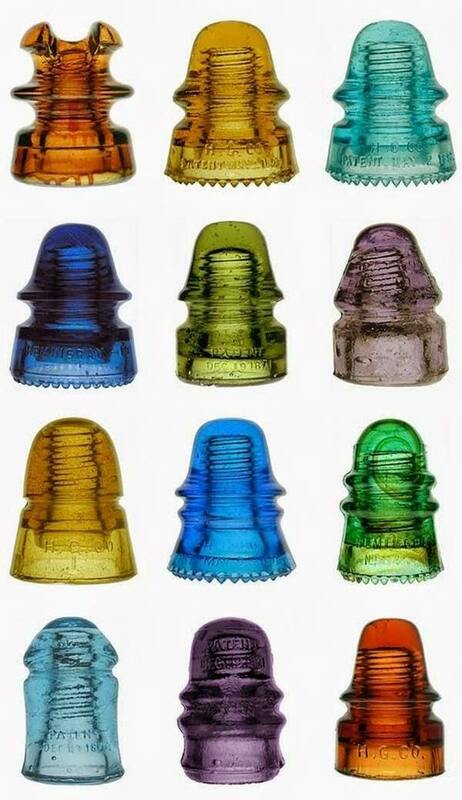 The period 1920 to 1950 is the peak in the production of glass insulators, millions per year were manufactured, and nowadays most of the insulators are from that period. 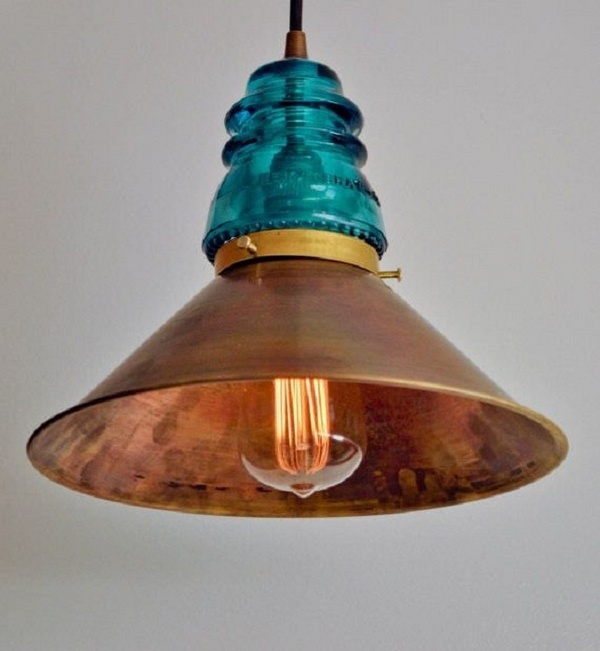 At about that time electrical companies began to use porcelain insulators and by the 1970s glass insulators were no longer in use. 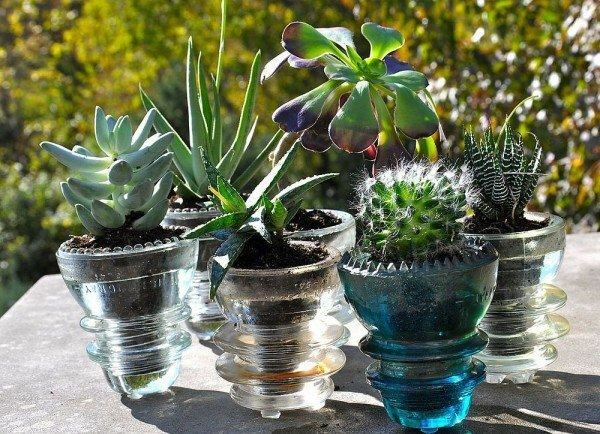 The good thing about upcycling ideas with glass insulators is that these items can be found in different sizes, shapes and colors. 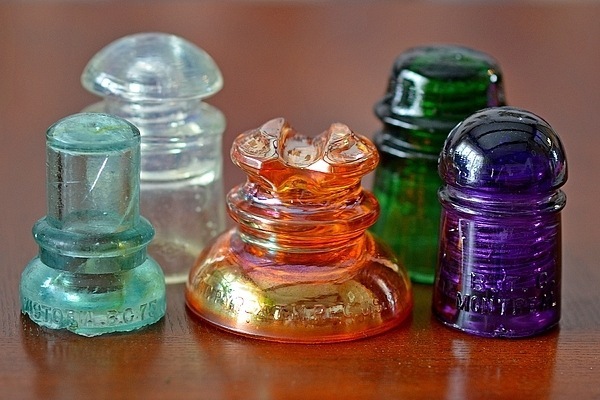 The earliest insulators were quite small in size, as they only had one wire and there was no need for more wire space. 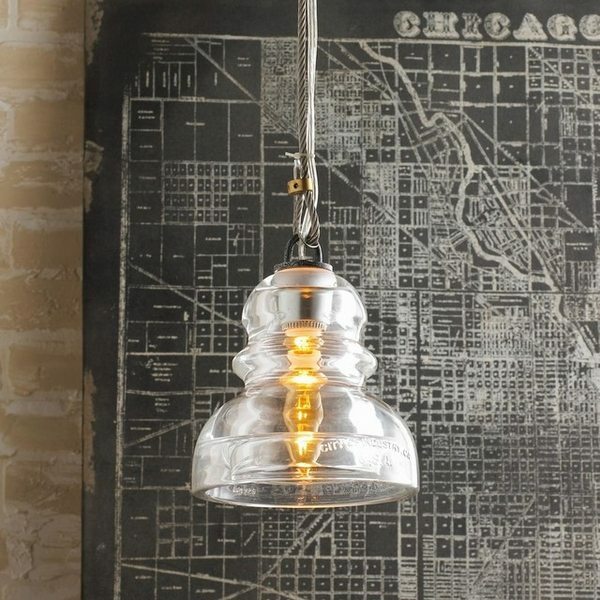 Later on, the size grew bigger and the insulators became larger. 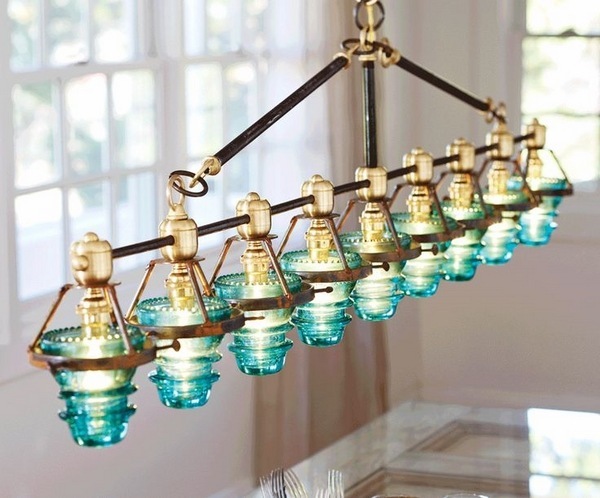 Nowadays you can find glass insulators in an array of colors – amber, cobalt blue, light blue, green, bright yellow, purple and antique glass insulators have a high value and are sought for by collectors for the beauty and the clean colors. 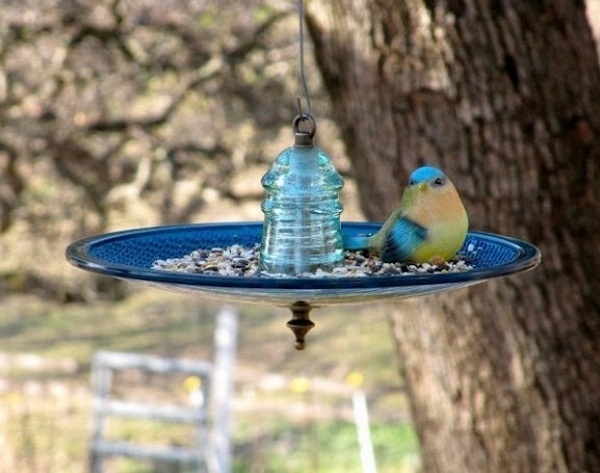 The most popular ones among collectors are cobalt blue. 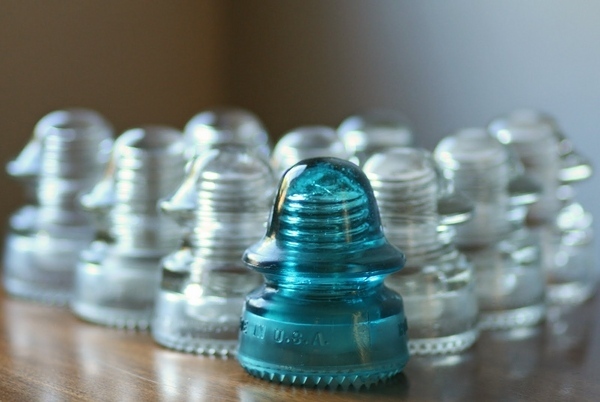 Some manufacturers embossed the company’s name on the insulators but most insulators bear no marks. 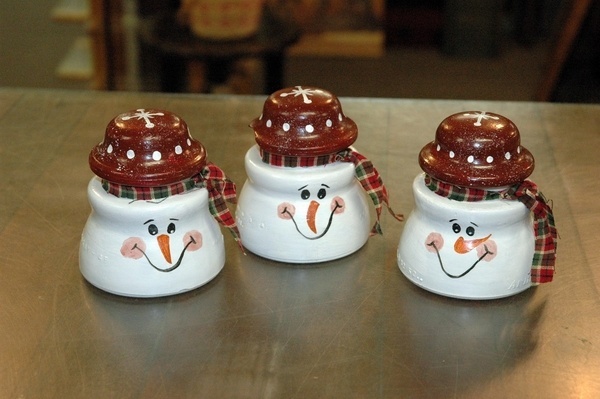 The shapes of the insulators are different and some of the most popular forms are the “Mickey Mouse” shape with two protruding glass ears and a saddle-groove form, the “Gingerbread Man” with a rounded top and two pointed, upturned arms, the “T-Bar” which has outstretched arms and a robot-like appearance. 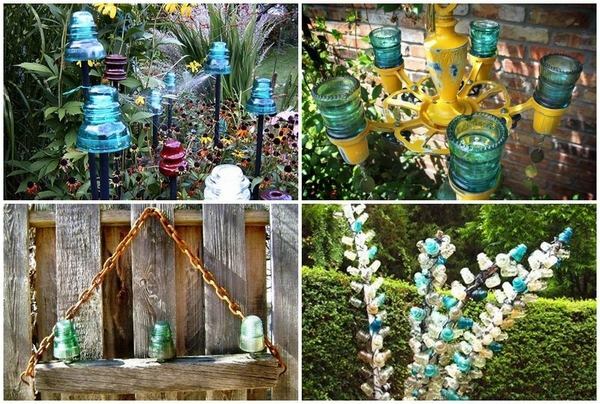 Old glass insulators are a popular item for numerous craft projects, upcycling projects, decoration projects and the fact that they are very cheap and relatively easy to find makes them a great material for DIY projects – lamps, succulent planters, garden lamps, table decorations, etc. 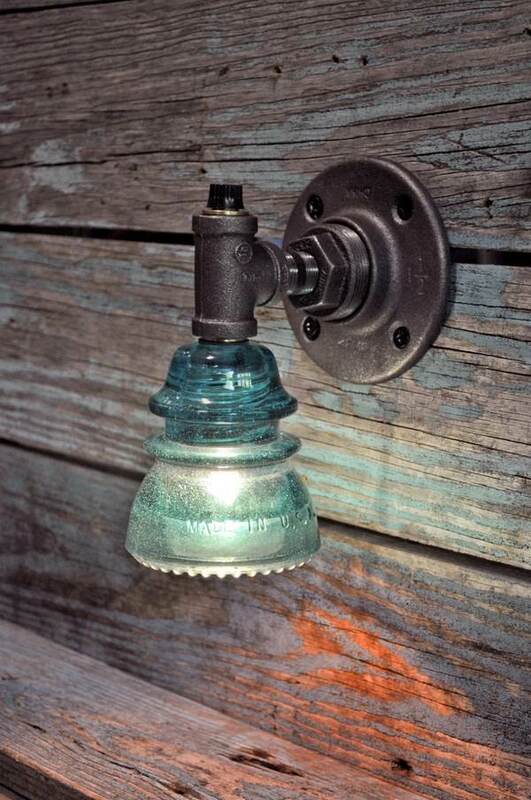 Very often when you buy glass insulators they are covered with rust, mud and grime. 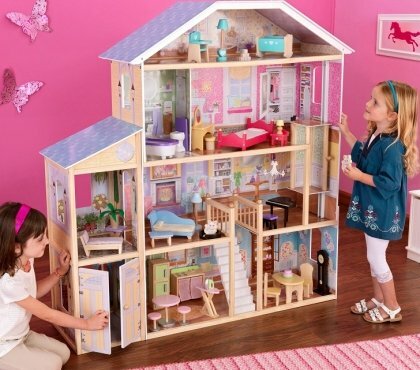 Before using them for a DIY project, they need to be thoroughly cleaned. 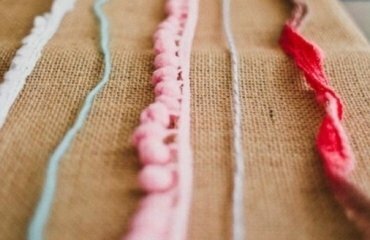 Soak them in a solution of water, vinegar and dishwasher detergent. 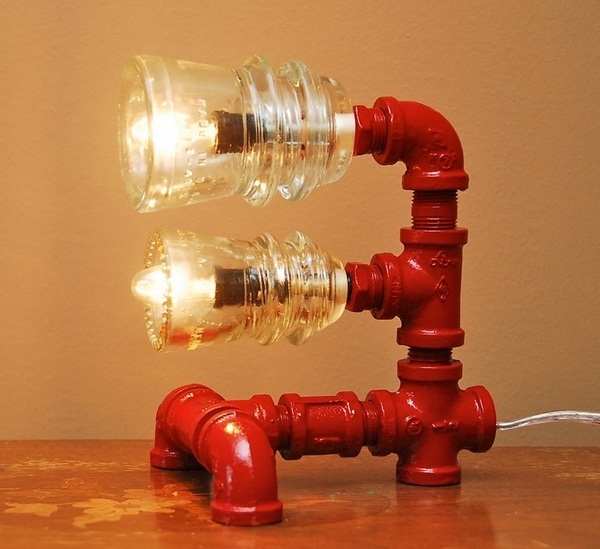 You can leave the insulators in the solution from one day to one week, depending on how dirty they are. 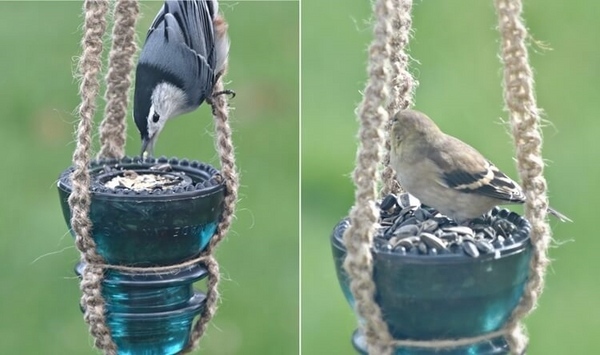 After that, you need to rinse them. 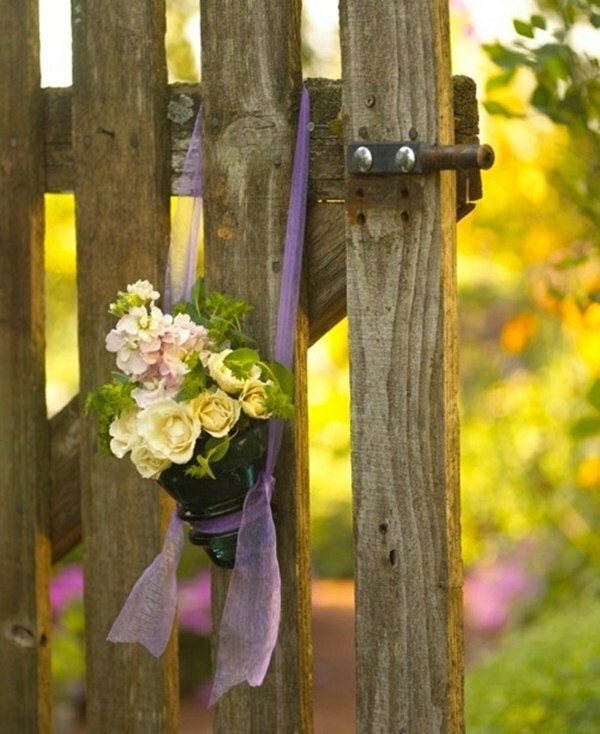 Use water and soap and an old toothbrush, if necessary to remove any remaining dirty spots. 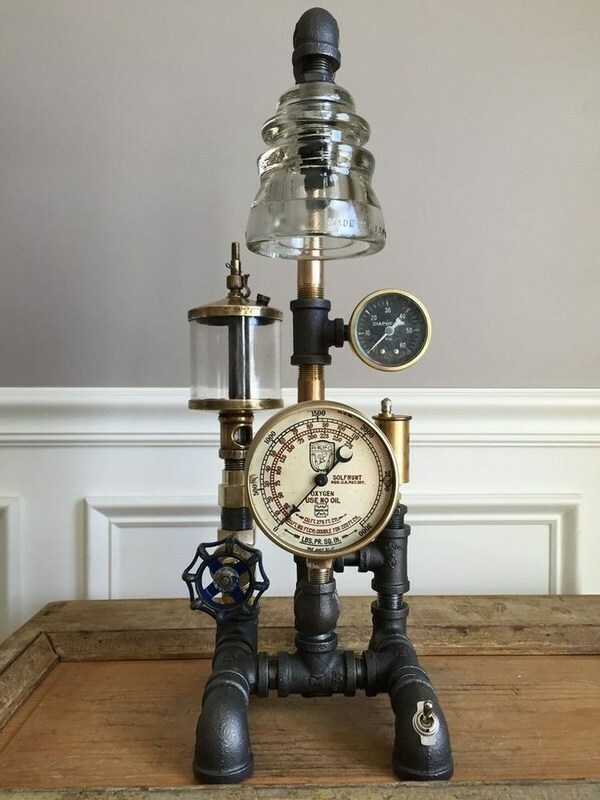 Decoration may be created from a variety of unwanted, old or antique objects and this is where upcycling ideas with glass insulators come to help. 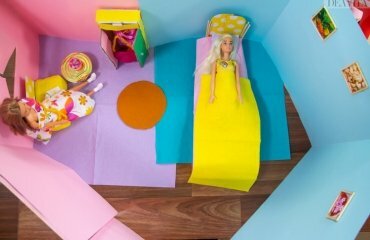 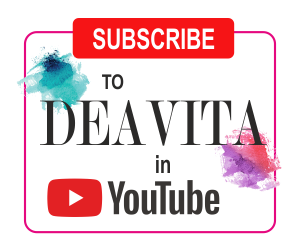 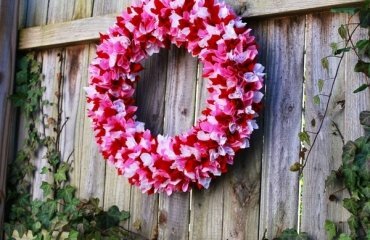 There are many easy DIY projects which can be completed in a matter of just one afternoon, even a couple of hours. 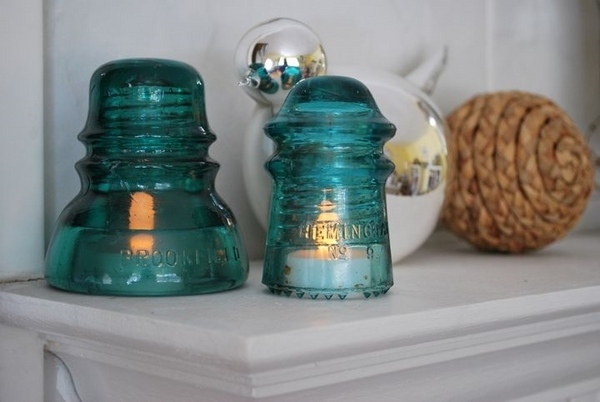 Glass insulators are excellent for decorating in industrial style, as they are precious bits of history, and their beautiful colors and shapes can be used in so many easy and more complex projects. 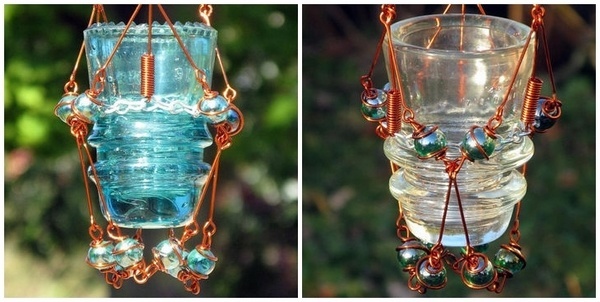 In addition, glass works with any other material and you can combine it with wood, metal, textile, rope, driftwood, copper, beads, etc. 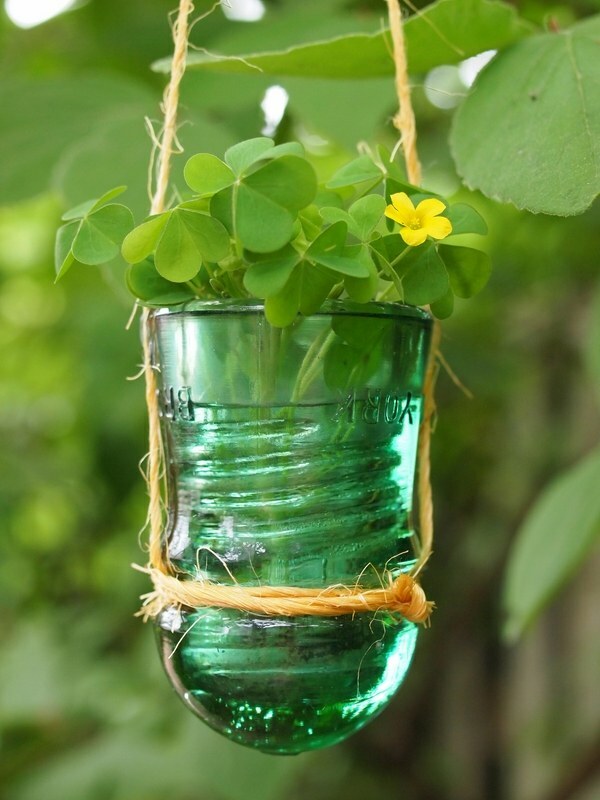 Let’s look at some of the most original ways to use those glass items in home interior and as garden decoration. 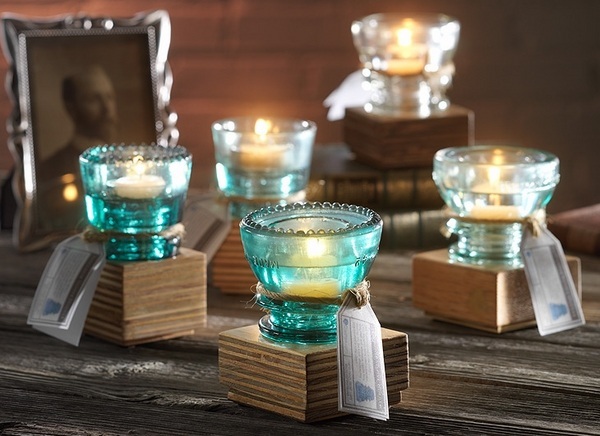 One of the easiest DIY projects – to transform glass items into beautiful tea light holders. 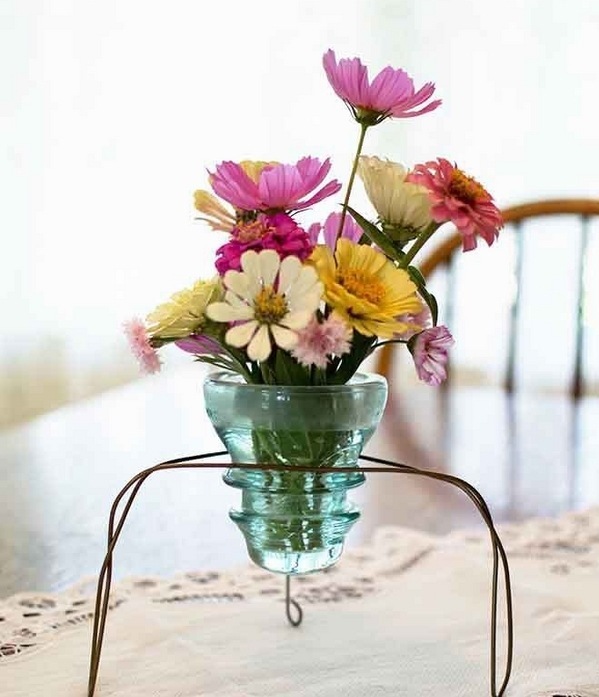 You can use such candle holders to add a romantic touch to the table decor, as an accent and ambient lighting, as festive table decoration for a garden party or simply for a dinner with the family outdoors. 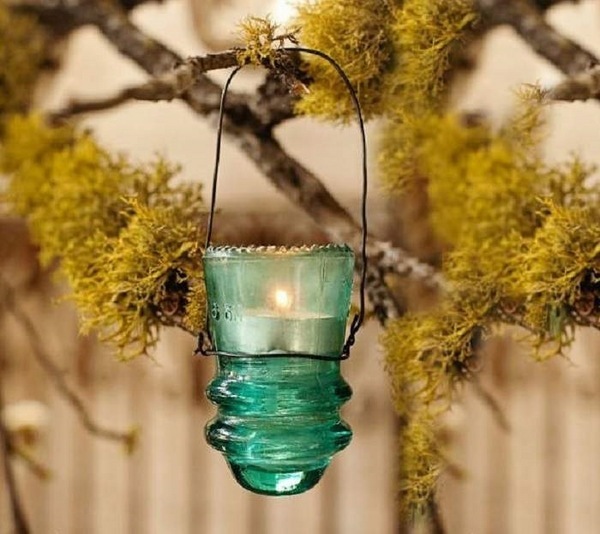 You can use a piece of wire to hang the tea lights on the trees as outdoor lanterns, fix a glass insulator on an old piece of wood or driftwood and fix it to the patio wall, use different beads to decorate the insulators and turn them into unique glass insulator DIY decorations for rustic or primitive style interiors and exteriors. 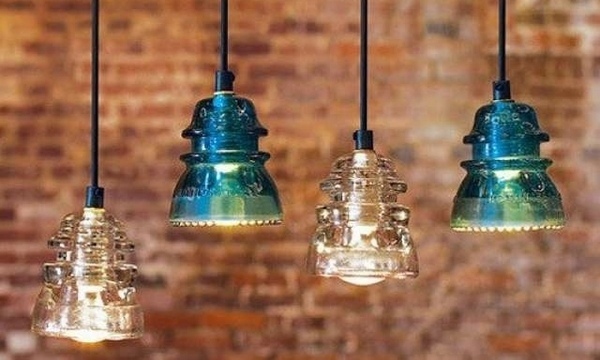 Glass insulators are one of prettiest reminders of the history of electricity what could be a better project than making a pendant lamp, wall sconces or a table lamp? 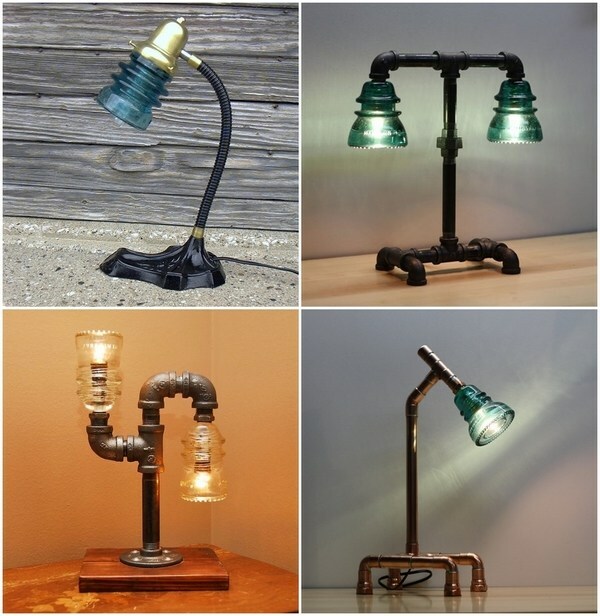 Light fixtures can be crafted with the help of a cable, plumbing pipes, driftwood, metal, etc. 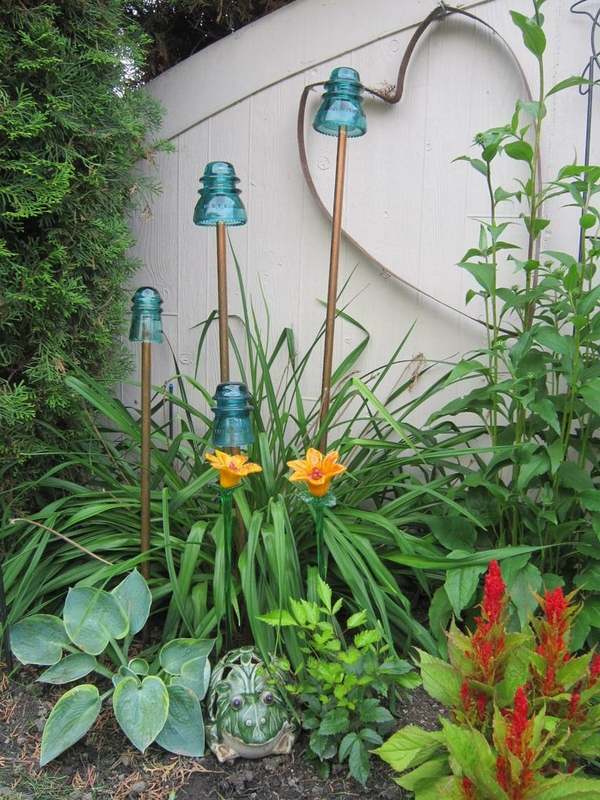 Decorating the garden with antique glass insulators sounds weird to many people. 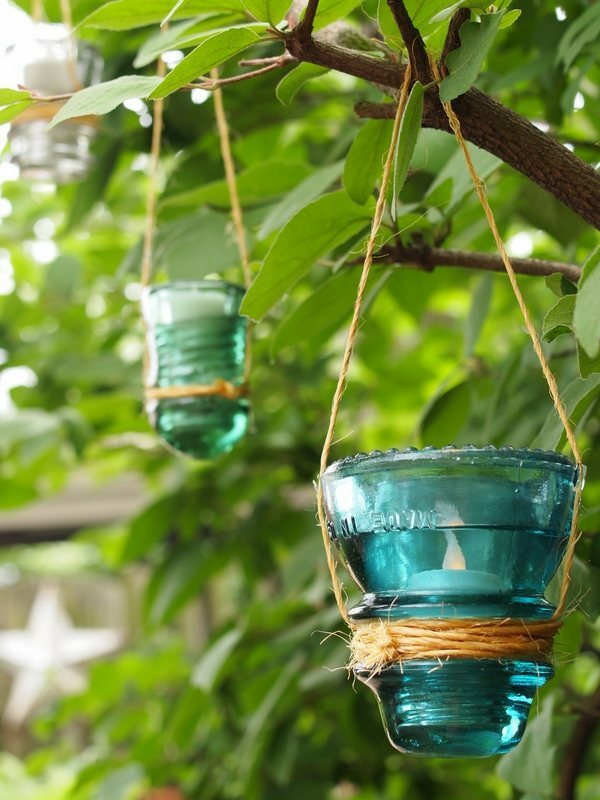 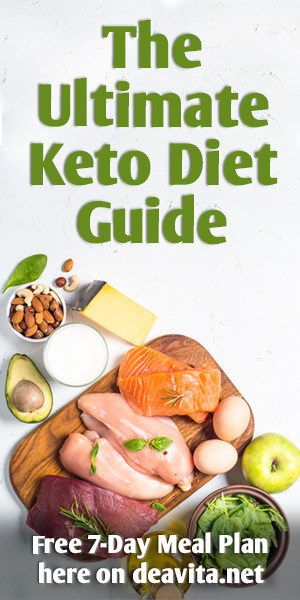 We selected some of the most intriguing ideas for DIY garden decorations – beautiful hanging lights, garden fence decoration, original rustic garden party decor, outdoor lighting and even glass insulator bird feeders. 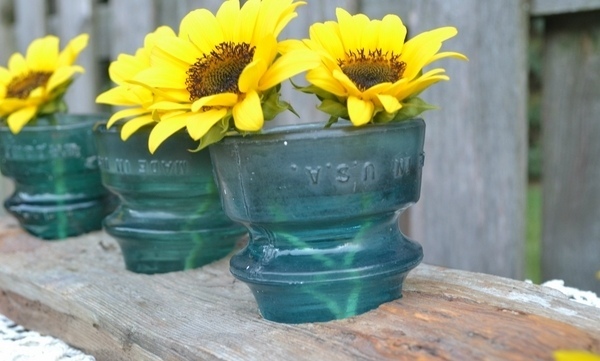 Vintage glass insulators look nice and pretty when used as planters for succulents. 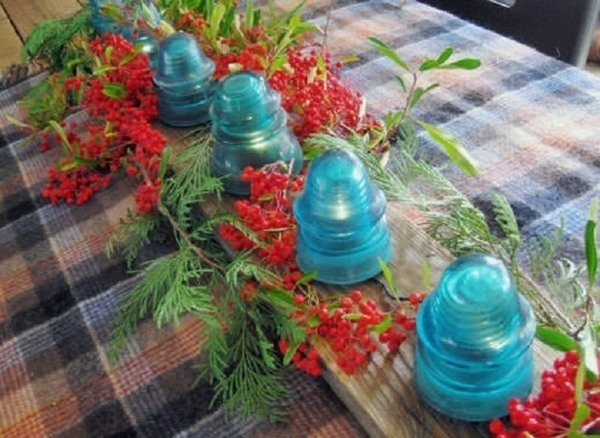 You can combine insulators in different colors or use just one color and arrange your upcycled electric insulators in a group to enhance the visual effect. 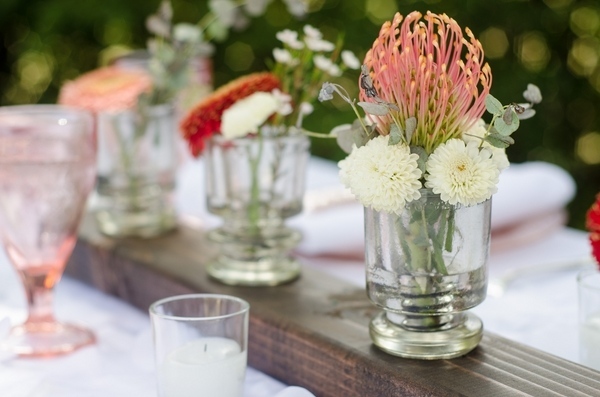 Another great idea to upcycle glass insulators is to use them as table decorations or as a table centerpiece. 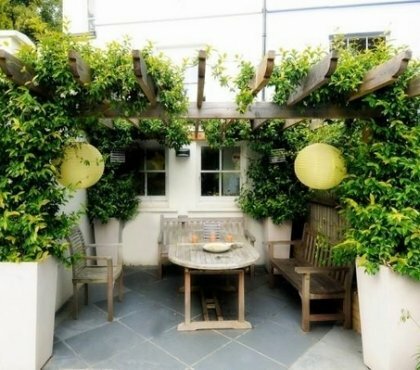 They are small in size and will not block the view of the people seating at the table. 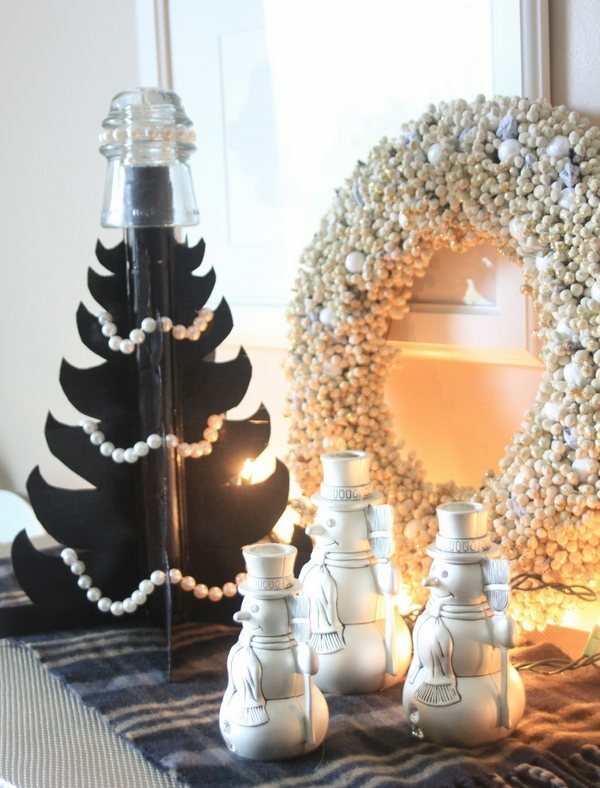 In addition, they can blend with the other elements of the table decor or become a colorful accent to the festive decoration. 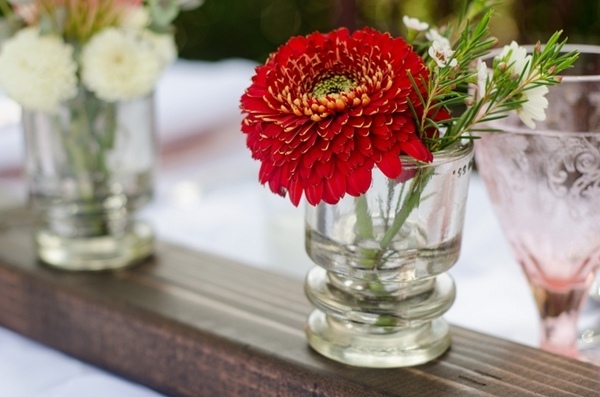 How about using them for an original DIY wedding decoration? 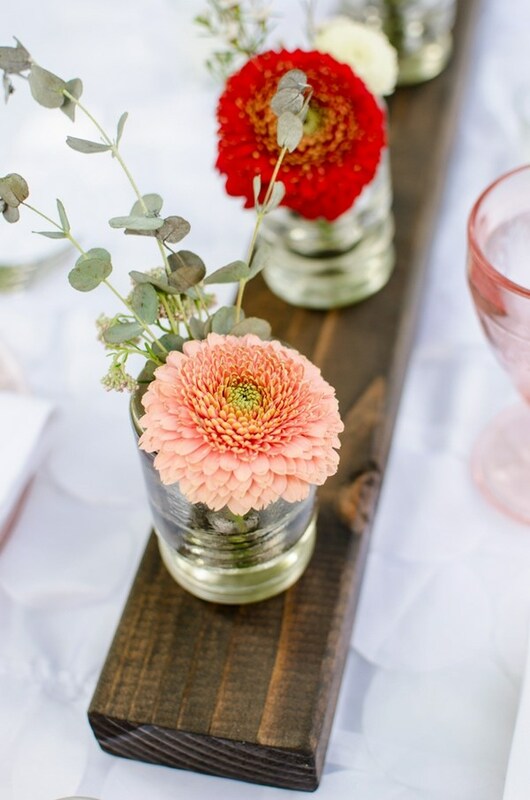 Fresh flowers and silk will transform a glass insulator into a most charming vase and if you are attracted to rustic decorations, just use burlap, field flowers, a wooden board and you are ready to set your table! 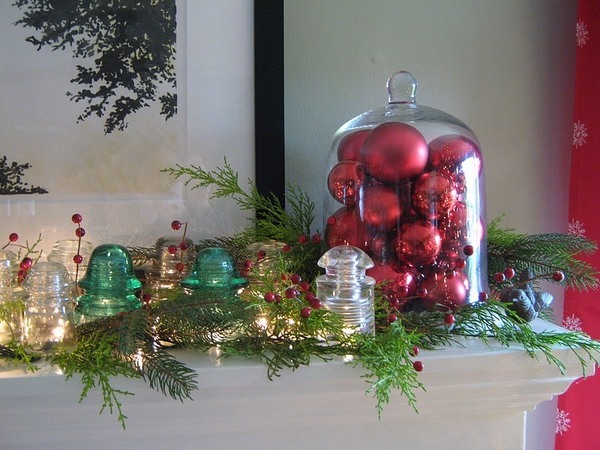 You may have never even though of using upcycled glass insulators as Christmas decoration. 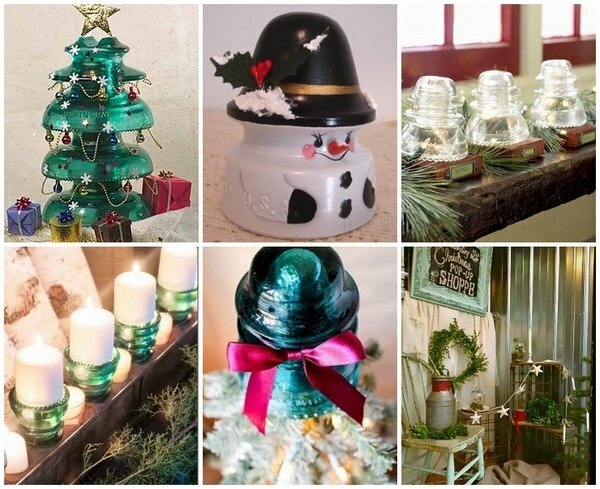 As a matter of fact you can craft really original items – a Christmas tree topper, Christmas string lights, you can paint them and use them as merry table decoration, you can arrange them on the mantel with evergreen branches and pine cones and light tea candles – so many cool and easy craft ideas with upcycled glass insulators. 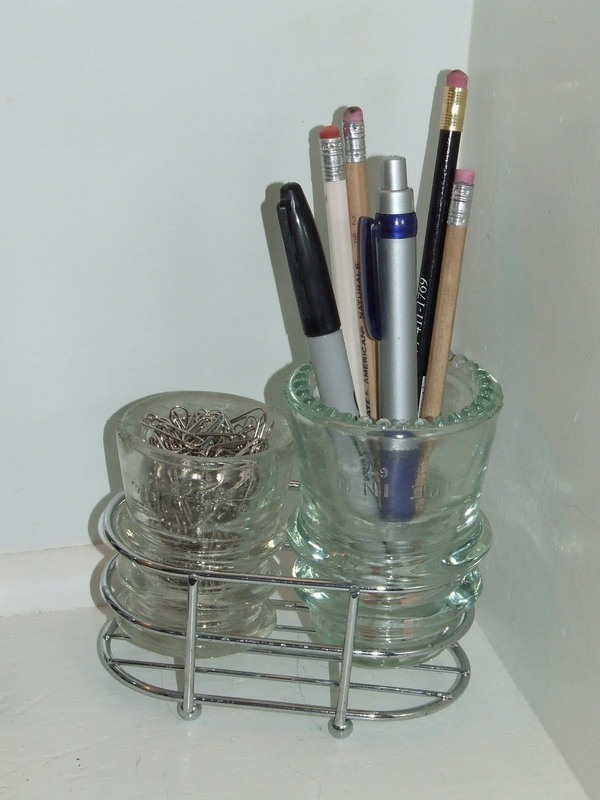 There are many other way to upcycle old glass insulators – use them as paperweights, desk organizers, the artistic creativity know no boundaries. 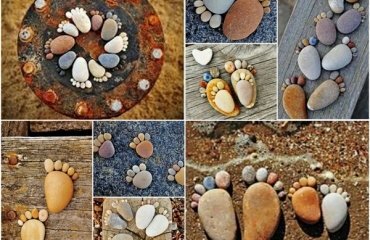 Sanded vs unsanded grout – which one is better for your tiles?